Fans were chomping at the bit when it was revealed that Ridley Scott’s Prometheus was indeed a prequel set in the world of the Alien films. And while Prometheus disappointed many due to script problems and lunk-headed characters, it was still gorgeous, full of ideas, and a voyage that left us craving more of one of cinema’s most compelling science fiction settings. While a Prometheus sequel is in the works, fans won’t have to wait until it hits theaters to explore more of that universe. 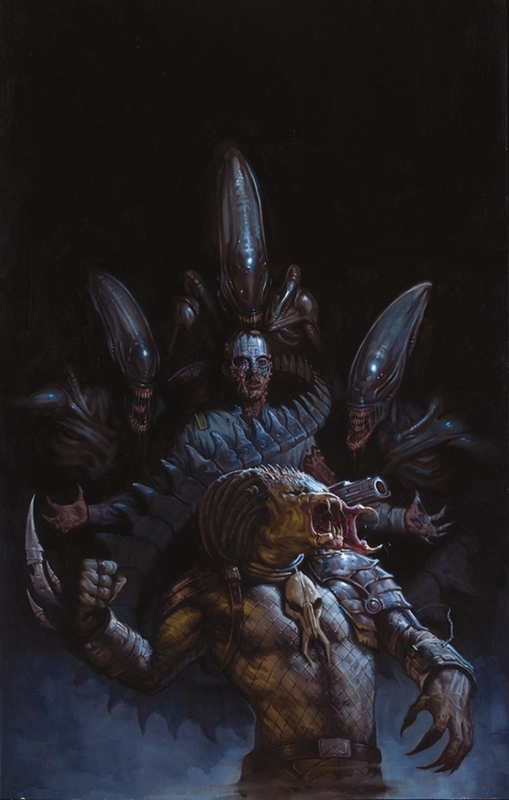 Dark Horse is launching Fire and Stone, an interconnected set of comic miniseries this fall, exploring and further uniting the worlds of the Prometheus, Aliens, and Predator films. Whatever revelations await us, one thing is clear: the cover art is bloody gorgeous.